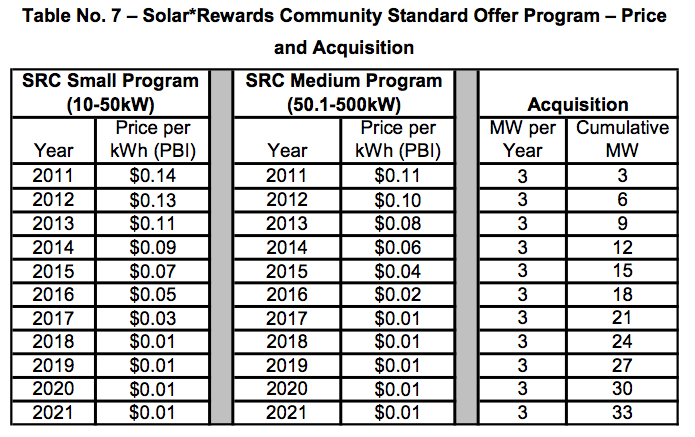 XCEL energy proposed a standard offer program in its compliance plan for Colorado’s renewable energy standard. Solar garden subscribers will receive a credit on their electric bill each month equal to the production of their solar panels multiplied by the rate in the table below. 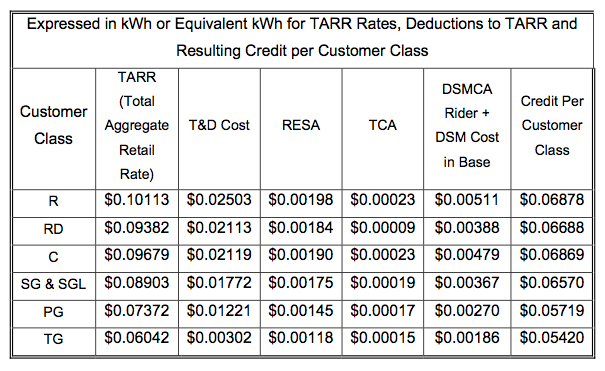 Under this proposal, a residential customer (rate class R) would receive a credit of approximately 6.9 cents per kilowatt hour. XCEL will also offer a production credit to the garden owner as a payment for Renewable Energy Credits (RECs). A table of these payments is shown below. An updated white paper on solar gardens in Colorado is available here. The complete RES compliance plan from XCEL is available here.